Last month whatever she has talked, was taught by us, that means, we would have talked to her in some context. But this month, she started framing her own sentences. She looks at someone and tells what they do. She frames the sentences nicely and of course there is no grammar mistake at all. The cutest thing is that, she is able to talk with correct tense. Earlier whenever she hit on something, she used to say "valikuthu(means paining)" but these days, she makes big story with that incident and tells like "Amma antha table vandhu adichiruchu, enaku kalu valikuthu". Yeah, before we need to ask each thing and she will describe in 2 or three words, but these days always with complete sentences. If we listen her, we will know what has happened, need not ask any more questions to understand the situation. Whenever she talks we have to look at her. If we don't see her, she will not talk and simply tells, "Amma / Appa, inge paaru.... paaru... paaru...! I'm just comparing how she was just 2 months before and how smart she is on these days. 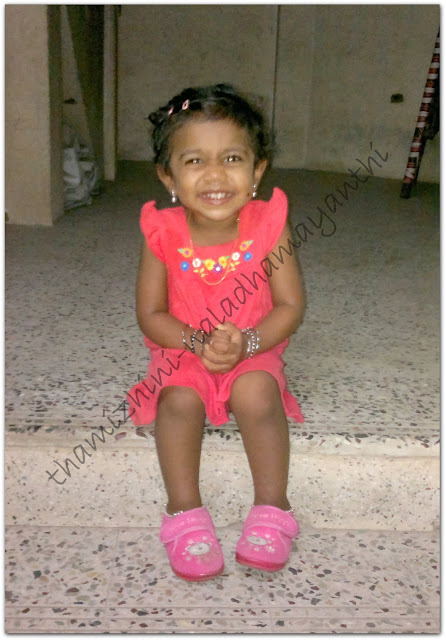 Also when she wanted to play, she will call like, "Appa naama velayadalama?" 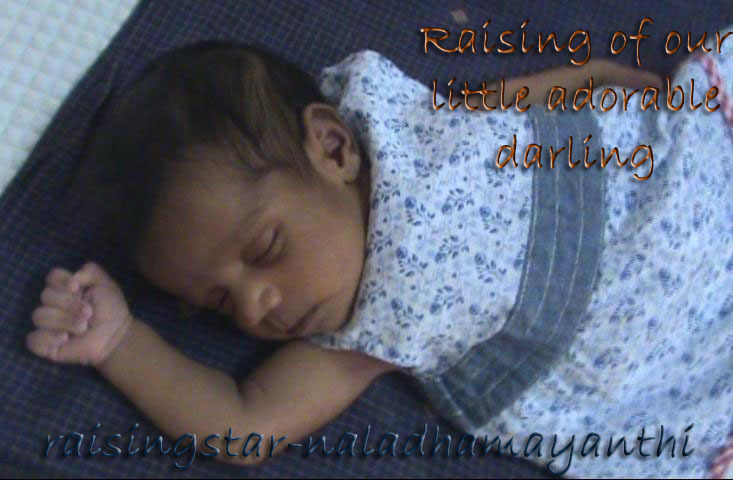 and she commands ball podu pa, velayadalam and she gets ball and bat to her Appa. These days she started telling like "Appa office poyitanga, evening thaan varuvaanga" and when we enter, she asks like "Amma vandhuteengala? Appa office le irundhu vareengala" kinda. 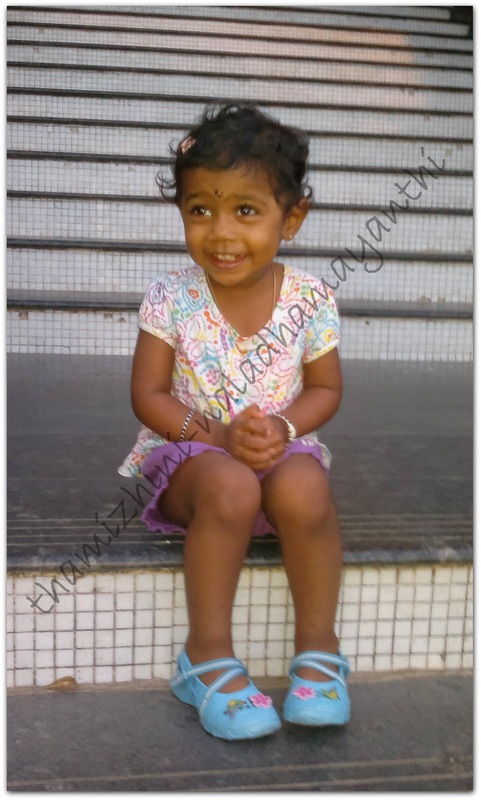 Of course, we only have taught these words, when she ask about appa / amma, but she correctly uses them by seeing us.